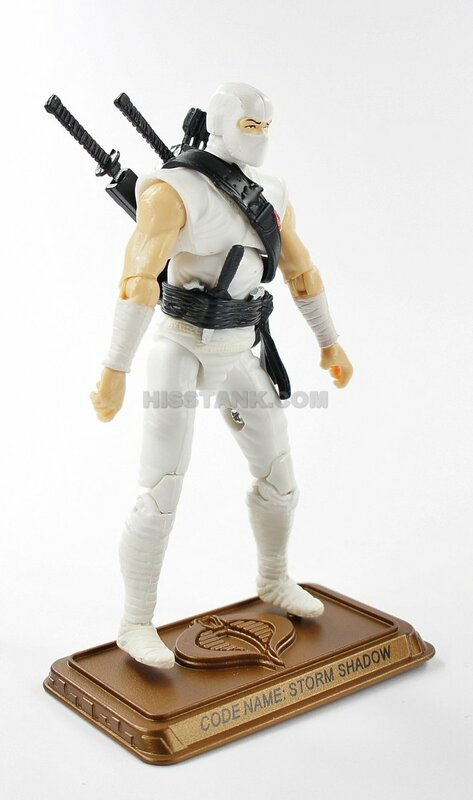 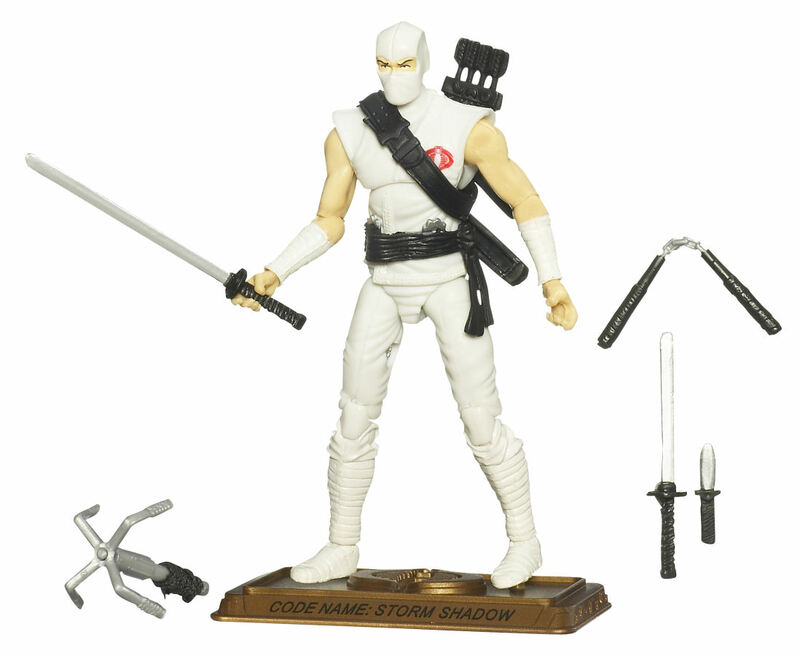 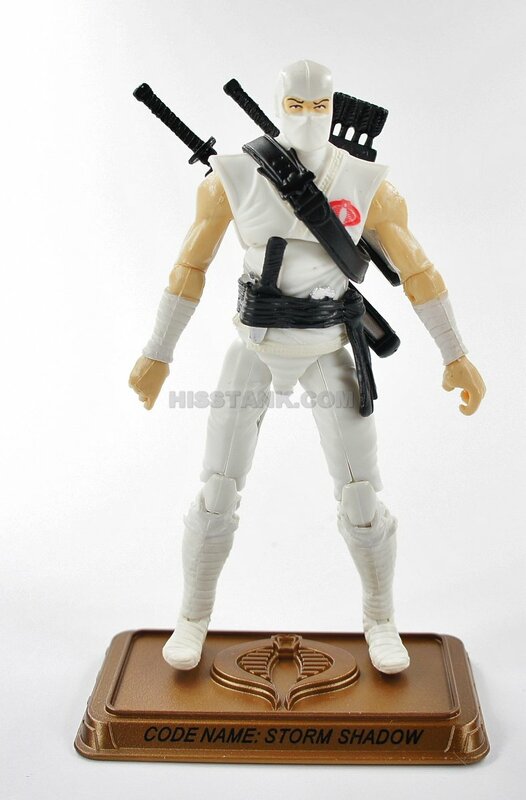 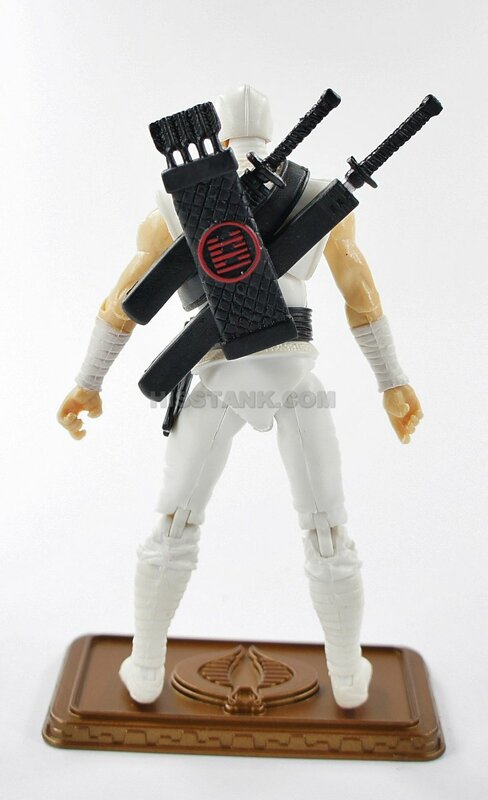 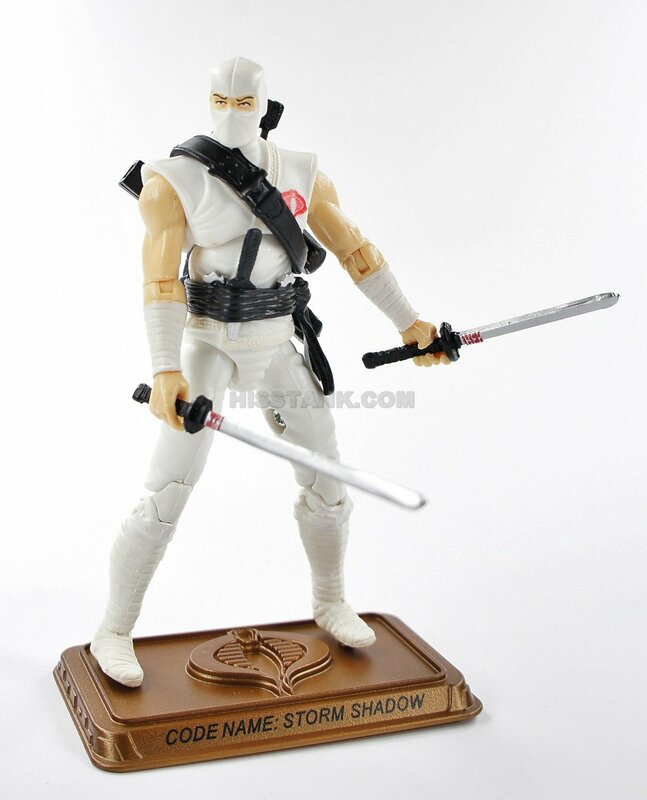 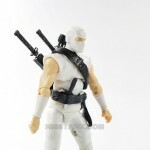 Storm Shadow can trace his family history through thirty generations of Ninjas. 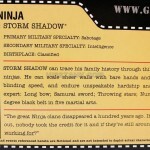 He can scale sheer walls with bare hands and feet, move with blinding speed, and endure unspeakable hardship and pain. 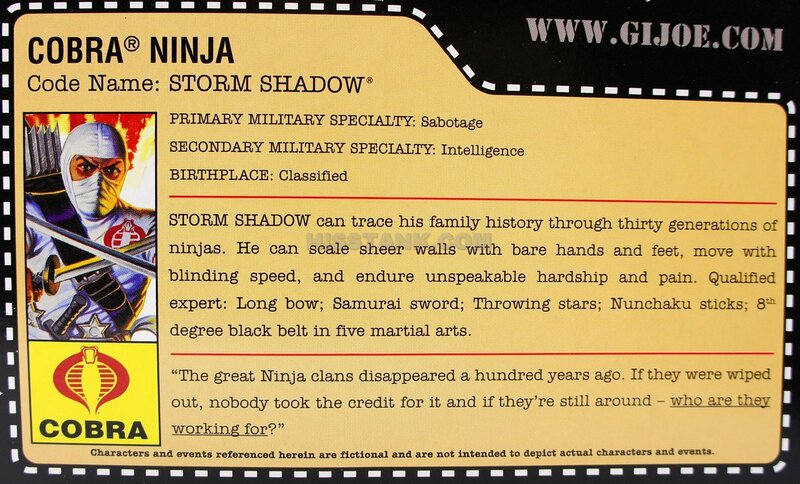 Qualified expert: Long bow; Samurai sword; Throwing stars; Nunchaku sticks; 8th degree black belt in 5 martial arts. 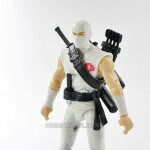 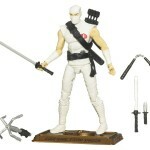 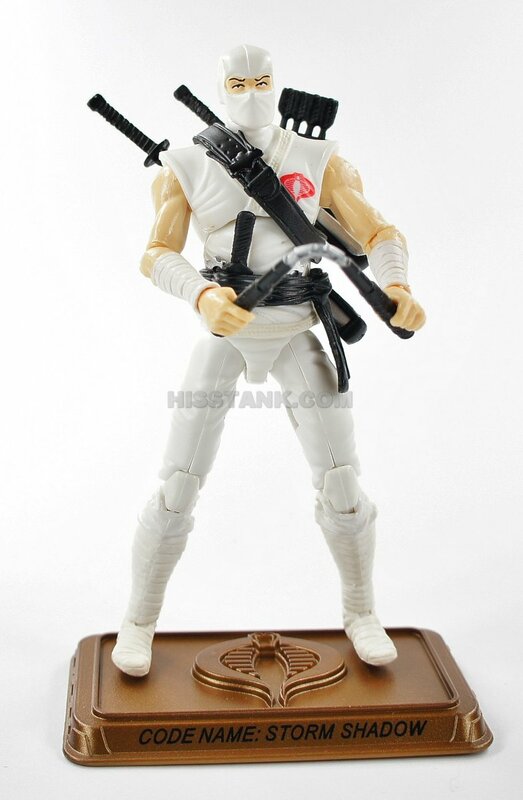 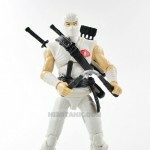 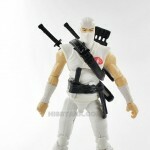 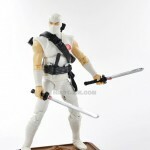 Uses the same body as the 1st GI Joe 25th Anniversary Storm Shadow(2007), but with new arms, feet, and legs. 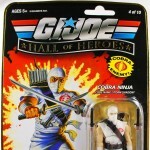 Here’s one of the top 10 team member figures that G.I. 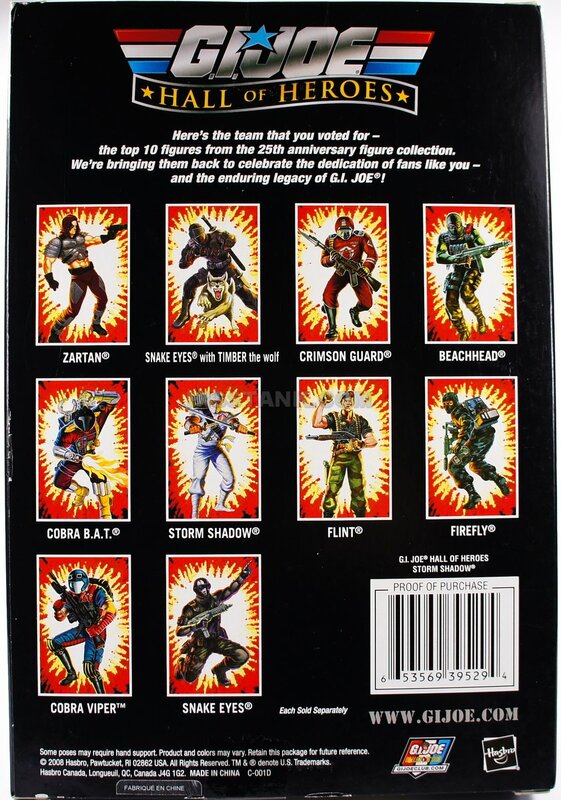 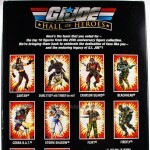 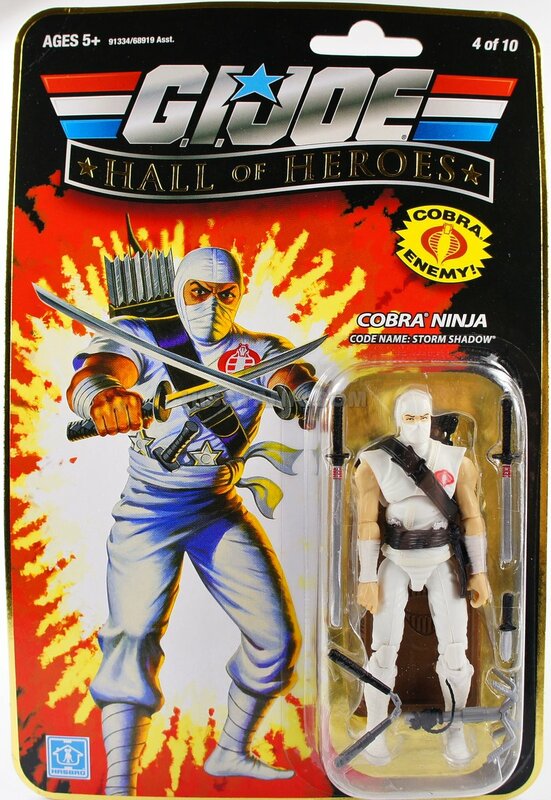 JOE fans voted for from the 25th anniversary figure collection. 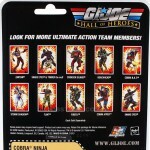 They’re back to celebrate the dedication of fans like you – and the enduring legacy of the G.I. 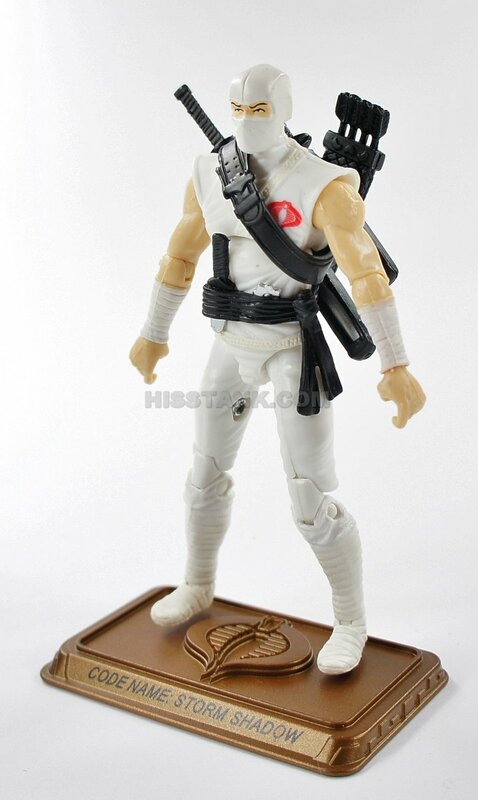 JOE brand! 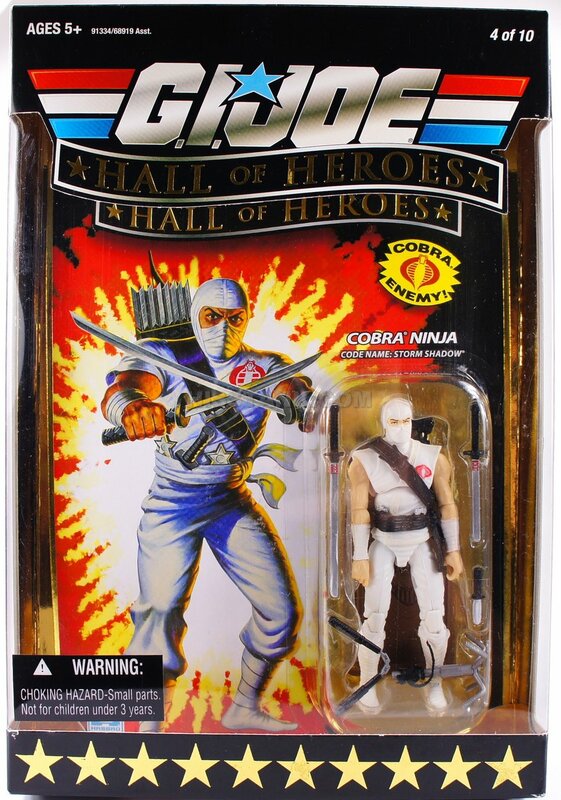 One of 10 fan-voted figures from the 25th anniversary figure collection! 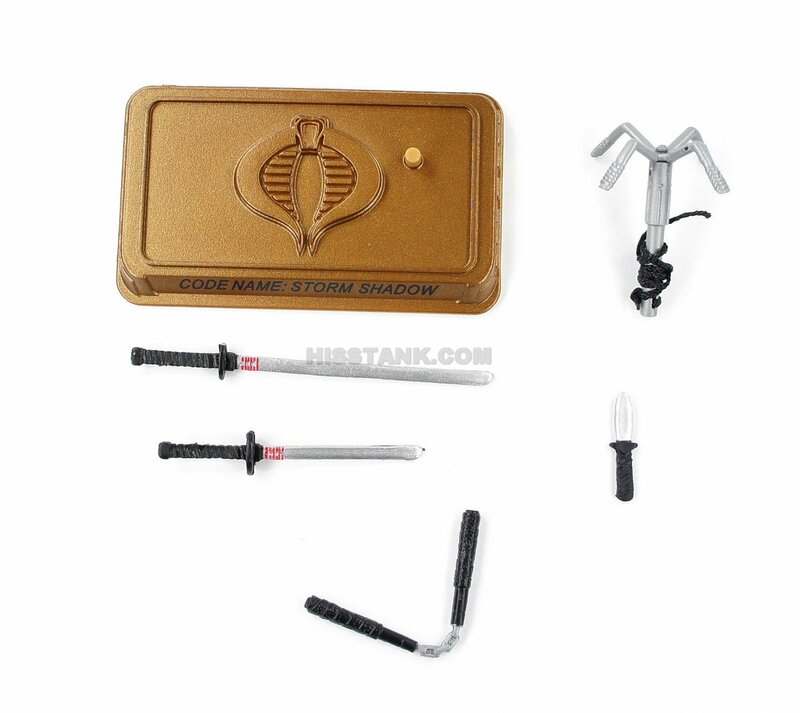 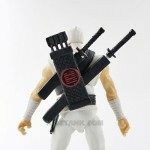 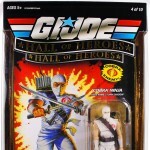 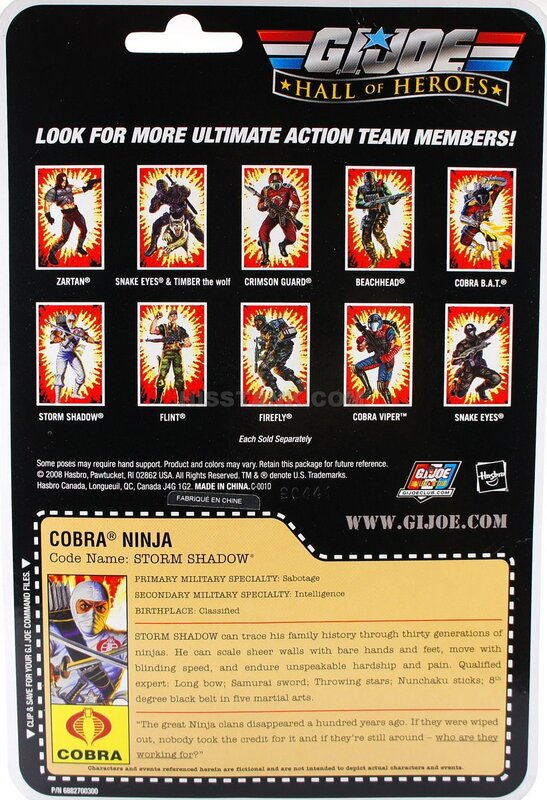 Articulated COBRA ninja action figure comes with assorted weapon accessories.